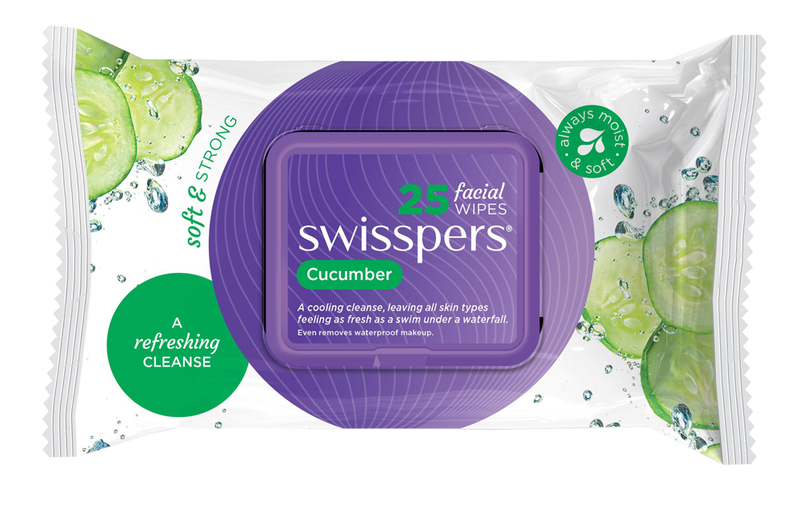 Swisspers Cleansing Facial Wipes Cucumber are cleansing wipes that contain extracts of cucumber to gently cleanse and remove make-up and impurities from the face, neck and eyes, leaving skin feeling soft, smooth and thoroughly cleansed. The snap lock lid keeps wipes moist. The gentle formulation contains aloe vera and vitamin E and is suitable for all skin types. I find that these work really well to get rid of stuff off my face from the day while freshening my face and leaving it fresh. It can leave a bit of stuff on my face so I end up having to cleanse. They're affordable, the scent isn't too strong or offputting. I don't exactly feel dehydrated when I use these on my face, and they don't leave a weird residue on my face either. These are my go to wipes! I have sensitive skin and I find that not only does these wipes not affect my sensitive skin, but it is also able to remove all my makeup, even waterproof makeup! I was chocked that wipes that is not harsh on the skin could remove waterproof makeup. The scent is subtle but fresh and after use, my face always feels clean, refreshed and soft. It is even more worth your money when you buy it on special! I have recently tried these makeup wipes and it removes my makeup without leaving residue and doesn't sting my eyes. The texture of these wipes is thick, soft, moist and is gentle on the skin. It delivers a refreshing cleanse after removal and feels like your skin is thoroughly clean. It even removes the most stubborn of the makeup, even waterproof mascara. These wipes are worth it especially when on sale. I have used this product for over 10 years now. It has continually gotten better over the years. I especially love it around the eyes as it’s the only wipes that don’t sting my eyes. They are gentle to use on the face and easily clean off tough makeup. I have eyelash extensions and these are the only wipes that clean around my eyes gently and no lint sticks of the extensions. The wipes don’t break apart and don’t make your skin go red. I recommend these to everyone with lash extensions and who wear full coverage makeup. Use on eyes first and then around face. People who have sensitive skin, lash extensions and where full coverage makeup.  I have tried almost all types of swisspers' makeup removal cleansing wipes. The cucumber was the only one that could remove makeup up to 85% ~90% without irritating nor stinging feelings on my face. So this was my first step of my cleansing routine that I wanted to do for my lifetime, but only until it was upgraded (but I think it's downgraded). The new version does not do its job as a makeup removal cleansing wipes as before. Only about 55%~65% of makeup is removed. I can see how they targeted sensitive skin but... the quality of the wipe sheets have worsen, when you fold the sheet, it sticks on to your face making unable to WIPE. Try not to fold the wipe. The Swisspers Cucumber wipes is the best facial cleansing wipes I have tried out of all the collection. These wipes are very hydrating, refreshing and is very moisturising for your face. Contains active moisturising ingredients to cleanse without drying, leaving your skin soft and refreshed. It does not have a distinct smell in comparison to the original facial cleansing wipes. The packet contains 25 wipes and can be bought at your local pharmacy, grocery store or even at your discounted department store. These aren't my favourite wipes, I have others I prefer to these for cleaning my face and removing makeup. What I do like about this though is they come in tiny little travel packs of 5 wipes. I travel every now and then for work or other reasons, and I need to travel light, so I don't want to pack bulky packs of wipes with me. I buy a couple of the tiny five packs and I'm good to go. They do a good job of removing makeup, but they do leave a residue on my face which my favourite wipes don't. They do have a strong fragrance to them too which sticks around and I'm not a big fan of it. My Staple - Refreshing and Great Makeup Removal! I LOVE THESE. Packaging is nice and the double seal keeps them fresh and moist for as long as you need! I find the scent pleasant and has a pleasant, subtle cucumber smell. They're refreshing to use and very effective at removing makeup, they don't fall apart and don't dry out your skin. The size of the individual cloth is great and you can purchase them in 5 piece travel pack too! Personally, I don't find them to irritate my skin, even around my eyes. I've never been so satisfied by a face wipe. - These have a lovely, fresh, gentle cucumber and aloe scent. - The packaging is great, it's not an adhesive strip like most wipe packages, it's hard plastic that snaps shut so that they never peel open and dry out. All make-up and face wipes should have packaging like this. - The first few wipes in the pack were a little dry, but as I went down the pile they were the perfect balance of being moist without being overly saturated. - These didn't leave a sticky or greasy residue like many wipes do. - I haven't used these to remove makeup, be I use them for my morning cleanse. They leave my skin feeling super fresh and clean. I have been experiencing fewer break-outs lately, so these may be contributing. - These were really gentle on the skin, didn't sting blemishes, the eye area, or sensitised areas. I would most definitely purchase these again. These are really great face washer wipes, They clean off makeup really well, though you may need to use two if you have on heavy makeup, it's not that great at removing eye or lip makeup such as eyeliner and lipstick so I would recommend using an eye/lip makeup remover on these areas before hand. It has a nice fresh smell to it and is great if you have dry skin since it doesn't overly dry it out. Great makeup wipes, don't dry out your face! I have quite dry skin as it is and I have a lot of trouble with makeup wipes making my skin dry out even worse, I found these at Priceline and have not been disappointed! They work well at removing my makeup and matte lipsticks prior to cleansing, I find one wipe to be able to do my whole face, mascara and all which is awesome as previously I've had to use multiple wipes! If your looking for a cheap makeup wipe that will do a great job and leave your skin looking great I high,y recommend these wipes! These wipes are a staple for me as they are so versatile. I use them to remove light make up or to refresh my face when I am out of cleanser. The wipes themselves are moist and with hold use (I have found that cheaper brands dry out and break quickly). I quiet like the cucumber scent, I did not find it to be fresh rather than overpowering. Unlike some cheaper brands these wipes do not leave my face feeling irritated. A reasonably priced wipe that does this job. I love that this makeup remover wipe is thick so it does not tear while removing makeup and the size is large enough to remove all makeup with a single towelette. I find that a single wipe is enough to remove my heavy foundation, mascara (non-waterproof), eyeliner (waterproof) and matte lipstick. The plastic flip top lid is great for keeping the wipes moist from start to finish. Although it is meant to be cucumber scented, I find the scent very mild and I cannot smell it on my face. The wipes are convenient for travel because you don't have to bring makeup remover/micellar water and cotton pads. It is affordable at $6 for 25 wipes and even better when they are on sale. All in all, a great product! These were my bargain of choice, when no specials were on at the supermarket for facial wipes. I was pleasantly surprised how soft they were! $0.24 a wipe isn't too shabby. The formula didn't sting and I liked the subtle smell of cucumbers. It is a lovely fresh scent. Normally I don't like to use wipes on my face as they can be quite abrasive, especially around the eye area, but these were non-irritating and smooth. These aren't too great with removing heavy makeup, so I often use in conjunction with micellar water to really ensure my face is makeup free. These wipes are really gentle on the skin and the cucumber makes them quite refreshing. Yet I don't find they remove make up as well as they should, mascara, eye liner and lipstick are particularly hard to remove and these wipes often just smudge it around my face. They stay moist until the very last wipe and are quite soft but all in all an average product. I was pleasantly surprised with these wipes. They are fairly kind on my skin and stay really moist right to the very last wipe. I love the plastic flip top lid so even if you haven't stuck the sticky flap down properly it's ok! The texture of the wipe itself is a great thickness and doesn't tear easily. Nice and moist so you feel like you actually push the formula into the skin. The only thing I didn't like about these wipes is that it can sting a little bit around the eye area, and I like to make sure under eye make up is gone at night, so a star lost there. Other than that I find this is easier to pick up at Woolies rather than Priceline so they must be a popular one in their range. Swisspers have consistent great quality in their products for durability of the material and this is certainly true here. These wipes came as a surprise to me. Somehow because of the packaging it made me think they were not very effective at removing makeup. They seem way too gently. The product however was really quite good. They are large and very moist and they are very good at removing eye makeup as well as foundation. I only need one to remove a whole face of makeup. They are not the cheapest though, I buy them when I can find them on sale. The wipes come in a plastic resealable pack of 25. Refreshing Facial Cleansing Wipes that can be used to remove make-up and waterproof mascara, gentle enough to use on eyelids. Versatile cleansing wipes suitable for all skin types. The wipes are white pre moistened soft cloth, generous in size, thin, flexible ans strong. They have a nice refreshing natural fragrance. Feels cool, damp, soothing and refreshing on skin. They are a perfect way to revive skin, leaves skin feeling clean, smooth and rejuvenated. No need to rinse, contains beneficial ingredients healthy for skin. The used wipe is placed in the bin. The wipes are excellent, do a fantastic job of cleansing without drying skin out. Can be used anytime, when on the go, ideal for travel. Like it but not my fave! I use facial wipes everyday to remove my makeup right after I get home from work. Since, it's a staple for me I buy different brands and "flavours." My fave is the Swisspers facial wipes with Mango extracts so I know Swisspers is a trusted brand. I wasn't disappointed but not overly impressed as well. It is moist but not moist enough for my liking. I do like the cucumber fresh scent and that it doesn't irritate my skin. I also like that it's very soft to the skin and you don't need to rub your face to remove your makeup. It's also good that they offer a 5pc travel pack for this as it's very handy and can be just stored in your bag or used for a short holiday. Swisspers are the only face wipes I can use for my sensitive skin, all other face wipes seem to give my face a burning sensation and leaves my face red. These wipes will also remove even the most stubborn make up products, it easily removes water proof mascara. My face feels fresh and clean after using them, the wipes clean my face so well that when I use my derma sonic cleansing brush there is hardly any excess foundation on the brush and the wipes also smell amazing.